For over three centuries, writers have made the North of Boston region their home. They have chronicled the lives of real people who performed extraordinary tasks to build a powerful nation. These writers found “a story in every mile” of revolutions and inventions, witches and whales, early settlers who braved the unknown for a better life and of fishermen lost at sea. No other area tells the story of the enduring American Spirit like the cities and towns north of Boston. Visit the homes of literary giants, see statues erected in their honor and read original editions of their works housed in the region’s museums, historical societies, and libraries. 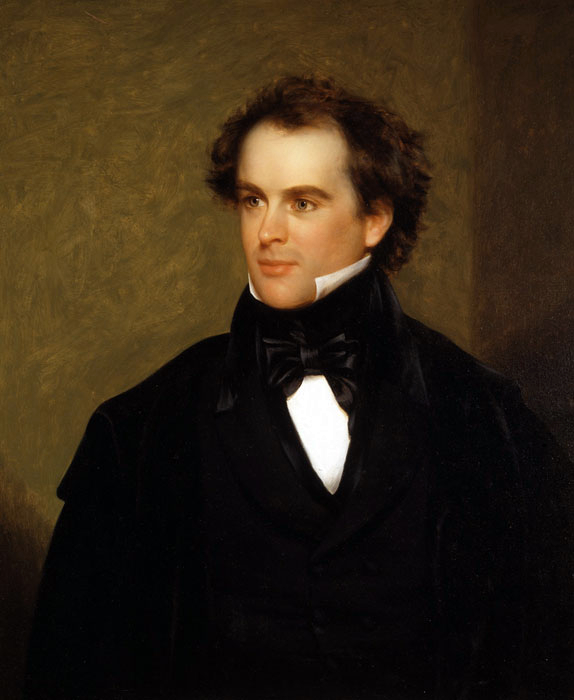 Perhaps the best known and most continuously read author of Essex County is Nathaniel Hawthorne, hailed by even his ardent critic Edgar Allen Poe as “one of the few men of indisputable genius to whom our country has as yet given birth,” and considered one of the first distinctly American—rather than British or Colonial—literary voices. Nonetheless, Hawthorne was preceded and is followed by scores of other local voices, from the revolutionary to the quietly influential, from the canonical to the footnote, all of whom contributed a unique piece to the quilt of Essex County arts and culture. The work of the area’s earliest authors was, not surprisingly, strongly influenced by deep religious and political beliefs. Among them are Essex County’s first author Nathaniel Ward, who was excommunicated from the Church of England for his Puritanical beliefs and became the preacher in Ipswich for a brief time before returning to England. His work, “The Body of Liberties,” is the first set of laws in America and set the tone for American ideas of personal liberty. 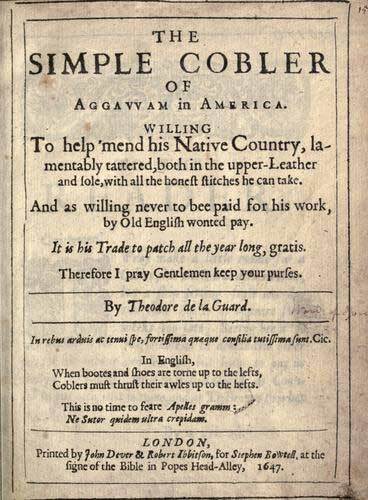 Once back in England he published The Simple Cobbler of Aggawam in America in 1647, a satirical pamphlet that he wrote while in Ipswich in which he attacks religious dissenters and frivolity in attitude and fashion. Some years later, Chebacco Parish minister and early protestor of British taxation without representation Rev. John Wise wrote A Vindication of the Government of New England Churches (1717), which was extremely influential on the authors of the Declaration of Independence. For unique observations of the French and Indian and Revolutionary Wars, the journals of 18th-century Marblehead ship-rigger Ashley Bowen reveal a man deeply interested in learning about every aspect of a battle, and a suspicion of Yankee patriotism that is not often encountered in the history of the era. Bowen was the earliest sailor to write his own autobiography, and his journals have recently been reprinted. Writing at the same time as Bowen, but with a different interest in maritime life, self-taught Salem mathematician, astronomer, and scientist Nathanial Bowditch came to be known as the father of modern sea navigation. His 1802 volume American Practical Navigator is still in constant use and has not been surpassed as a study of pre-satellite navigation. Many schoolchildren are introduced to Bowditch’s unique brand of determination through Jean Lee Latham’s 1953 Newbury-award winning young adult biography, Carry On, Mr. Bowditch. The major role that Massachusetts and Essex played in the abolitionist movement becomes clear with just a glimpse at the names of major mid-19th century authors, intellectuals, and publishers in the area. 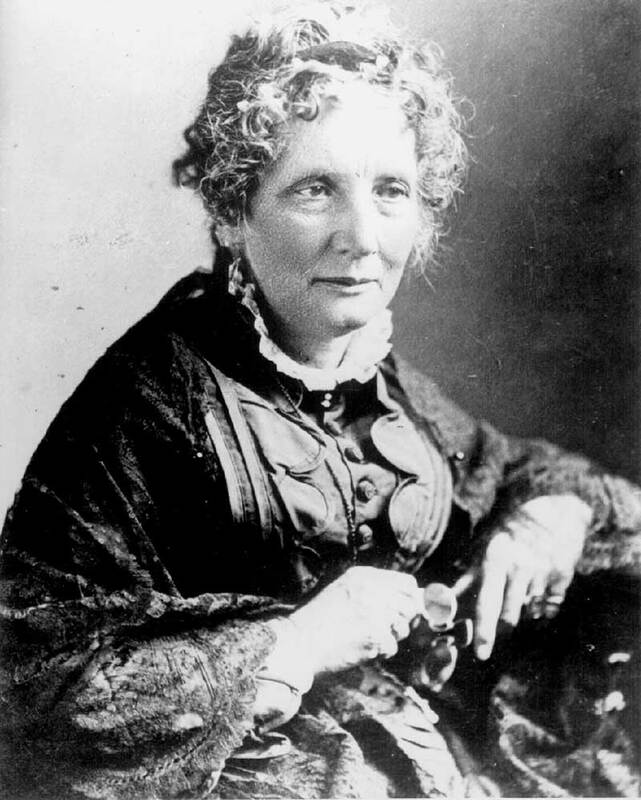 Harriet Beecher Stowe’s anti-slavery beliefs developed over a lifetime of travel and living in Maine, Connecticut, and Ohio, but it was during her time living in Andover that she put the finishing touches on Uncle Tom’s Cabin, one of the country’s first best-sellers and a book whose influence was so vast that it is often credited with turning the public tide of opinion firmly in favor of emancipation. Before Stowe even began writing, however, William Lloyd Garrison launched the radical abolitionist newspaper The Liberator in Newburyport in 1831. Eventually relocating to Boston, The Liberator‘s influence surpassed its circulation, but Garrison’s impassioned arguments against slavery retain their zeal even 150 years later. His editorial in the paper’s inaugural issue contained the wish, “Let southern oppressors tremble—let their secret abettors tremble—let their northern apologists tremble—let all the enemies of the persecuted blacks tremble.” Unlike other abolitionists, Garrison believed in letting women be fully involved in the movement, and once his goals toward ending slavery had been achieved, he continued to work on broader civil rights issues including women’s suffrage. Garrison’s contemporary, the poet John Greenleaf Whittier, found his way into the abolitionist movement through his Quaker beliefs, eventually editing the local Anti-Slavery Reporter and standing as a champion of abolitionism in the state senate. Writing nearly 100 years after Anne Bradstreet at the height of the Federal era, Judith Sargent Murray was one of the country’s first proponents of equality between the sexes and argued fervently that with equal access to education, women’s accomplishments would equal those of men—an assertion that Bradstreet’s own life bears out. Murray’s 1790 essay “On the Equality of the Sexes” remains a powerful text of first wave feminism. 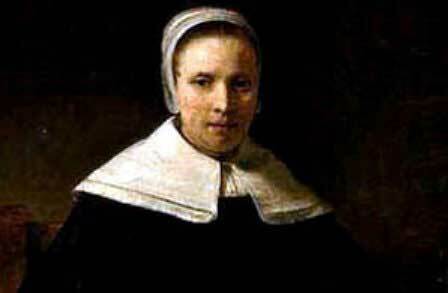 She was also the first American playwright to have her work produced in Boston and through her second husband, the Universalist minister John Murray, she had a strong effect on the shaping of that religion as it took a foothold in the United States. Mary Abigail Dodge, who published under the penname “Gail Hamilton”, wrote articles for the anti-slavery journal National Erathat so impressed its editor, he hired her to teach his children. Though not a suffragist, she worked to improve the status of women in society through her writing, which included the book Woman’s Wrongs: A Counter-irritant (1868). Writing at about the same time as Hamilton, Harriet Prescott Spofford was most successful as the prolific author of Gothic short stories, which she began publishing to help support her family in Newburyport. Her most often anthologized stories are “Circumstance,” a psychological drama in which a country woman is trapped outdoors by a beast overnight, and the darkly feminist “Her Story,” about a woman driven to insanity by her marriage. A number of female writers and reformers of the mid-to-late 19th century also wrote for children and about childhood. Elizabeth Stuart Phelps published under the penname “H. Trusta” before writing her “Kitty Brown” series of religious instruction for children. She was a forceful social reformer, and after she died at only 37, her daughter Mary renamed herself for her mother and began following in her footsteps as an author. Rechristened Elizabeth Stuart Phelps Ward, the younger woman was known for her short stories as well as her “Gypsy Breynton” children’s series. Lucy Larcom edited the journal Our Young People with Gail Hamilton. A former Lowell textile mill girl, Larcom published many poems about her experience and a 1884 volume of recollections, A New England Girlhood, which remains a classic. Elizabeth Peabody and her sister Mary Peabody Mann were both major forces in the field of early childhood education. Elizabeth opened and ran two schools of her own and was involved with Transcendentalist Bronson Alcott’s Temple School. She opened the nation’s first English-language kindergarten in Boston in 1859, a venture in which she was supported by her sister and brother-in-law, the father of American education, Horace Mann. The sisters collaborated on books promoting the kindergarten movement, as well as its newspaper, The Kindergarten Messenger. Elizabeth Peabody also ran the Transcendentalist literary journal The Dial for many years. Almost all of the authors mentioned here so far also wrote poetry during a time when it was a more widespread medium for expression and any major civic occasion was marked by commissioning work from the town bard. Although impossible to group all of the remarkable poets who have lived and worked in Essex County into one theme, there are a handful of authors whose most notable work is strongly connected to the culture and geography of the towns where they wrote. A small but influential circle of poets lived in Lynn in the mid-to-late 19th century, with Alonzo Lewis at the center. Along with his student David Johnson, these writers, who were both also historians, captured the spirit of their buzzing oceanfront city. John Greenleaf Whittier, already known as a champion of abolitionism, was also a notable poet of place. His classic poem “Snowbound: A Winter Idyl” evokes a strong sense of nostalgia for an idealized image of work and play on a New England farm during an amazing blizzard his family endured during Whittier’s childhood. 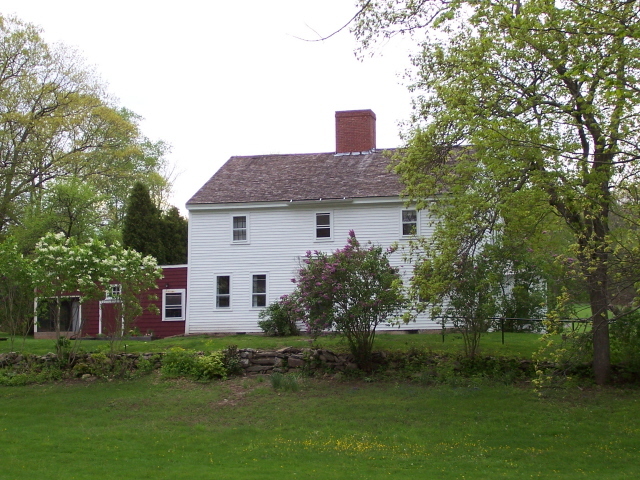 2007 is the bicentennial of his birth, and is being marked with events in Whittier’s childhood home of Haverhill and family farm in Amesbury. Although not as widely read today as he was during his time, Whittier’s evocative imagery brings to mind a later poet, Robert Frost, who spent his adolescence in the industrial town of Lawrence before becoming New England’s quintessential poet with clear-voiced sketches of life in rural New Hampshire and Vermont. Modernist poet Charles Olson is significant is his own right, but even more so for the influence he had on postmodernists who came later. His major work, the Maximus Poems, is an opus of odes to Gloucester, his adopted city, for whom he invokes Saint Anthony of Padua to bless the city from its rooftops to the sea-soaked tools of commercial fishermen on the waterfront. In the 20th century, authors from the late Andre Dubus to John Updike wrote in and about Essex County, especially about the struggles of contemporary men and families. For more than a decade before his death in 1999, Dubus ran a weekly writing workshop from his home in which he taught and encouraged a new generation of Essex County authors, ensuring that this unique region, with its diverse landscapes, urban cultures, and coastal heritage continues to hold its position as a hub of literary talent. The newly inaugurated Newburyport Literary Festival, which honored Dubus in its first year, celebrates local authors and promotes a love of literature through programs in middle schools, public lectures and readings, and celebrations of the continuing love for the written word on the North Shore and beyond.